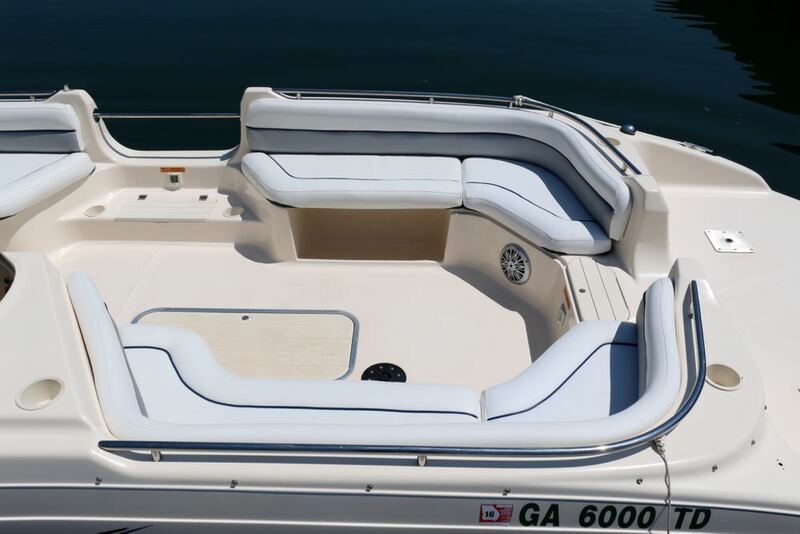 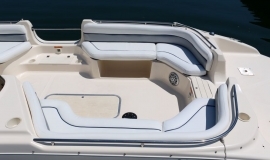 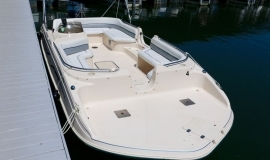 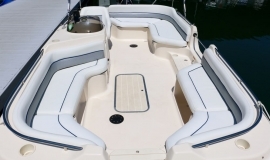 The 21′ Key West Deck Boat is a high performance boat with a soft ride, open seating, and plenty of power and speed for a full day of watersports. 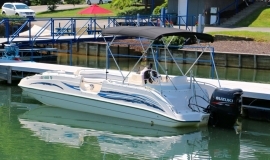 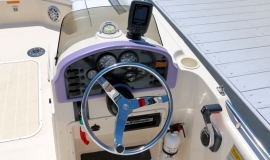 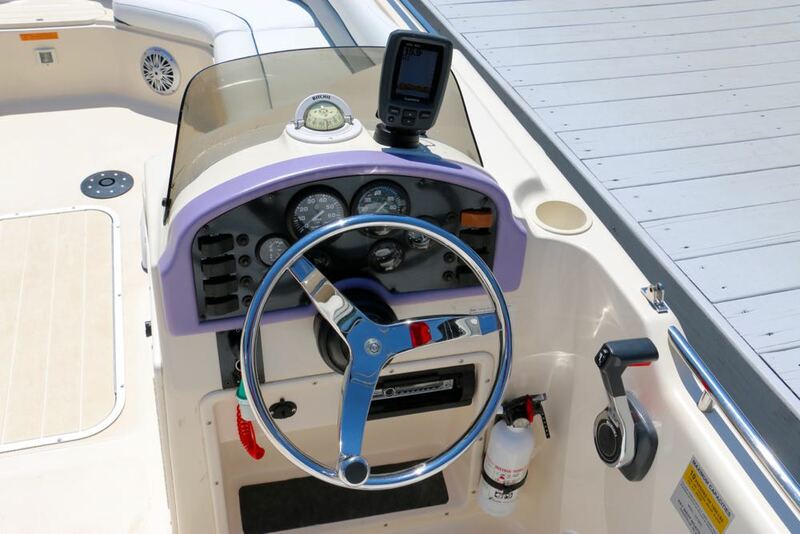 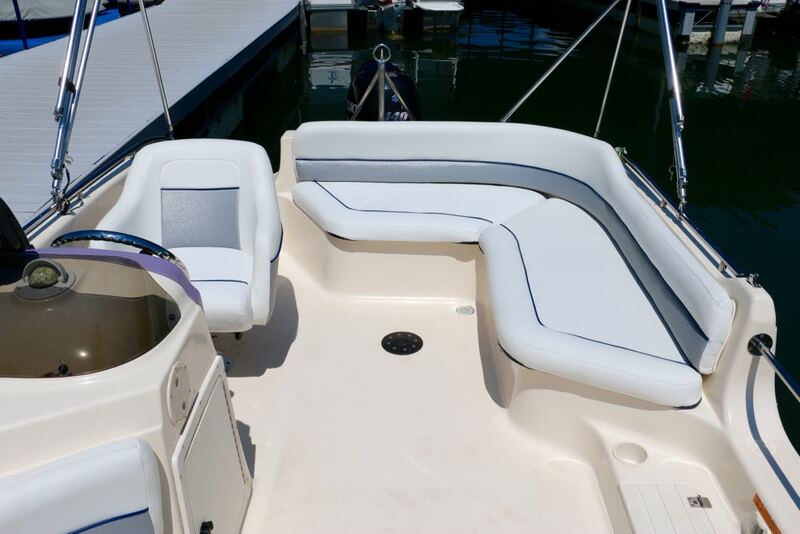 Features include a 140hp fuel-injected 4-stroke engine, Sunbrella bimini top for shade, stereo with iPod hookup, Garmin color fish/depth finder, hydraulic steering, and seating for 8. 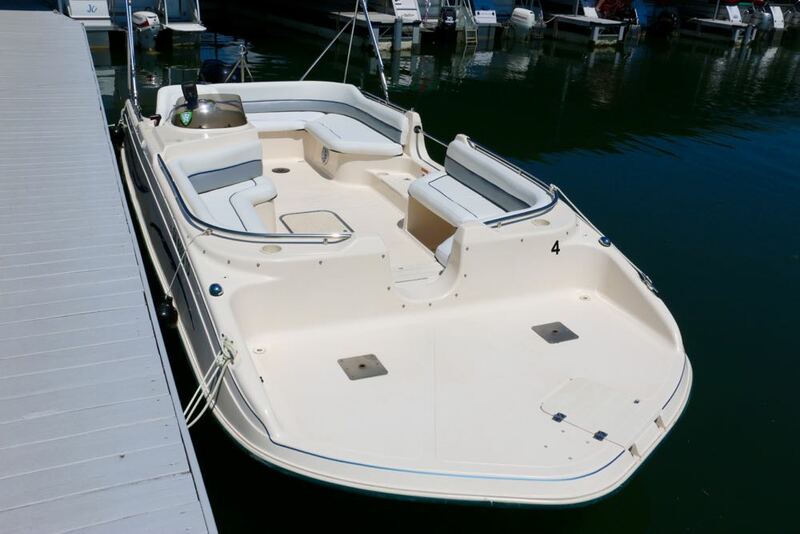 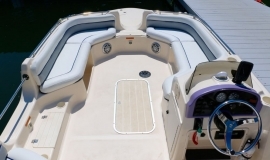 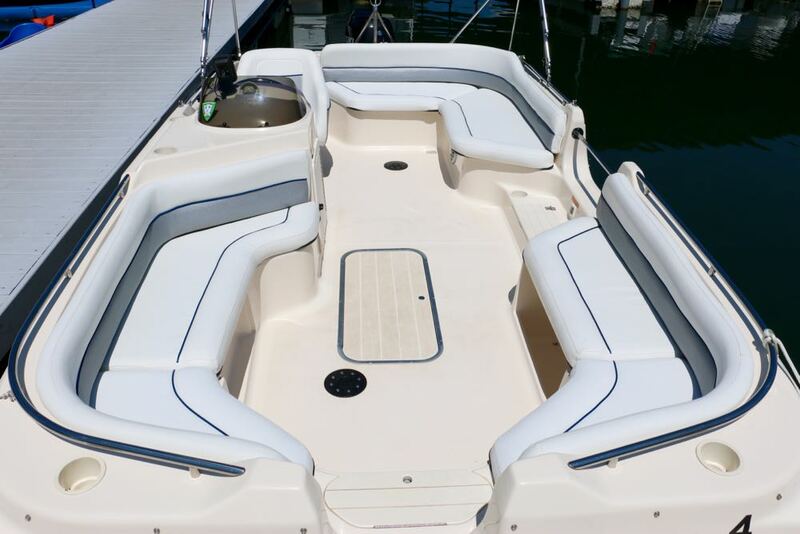 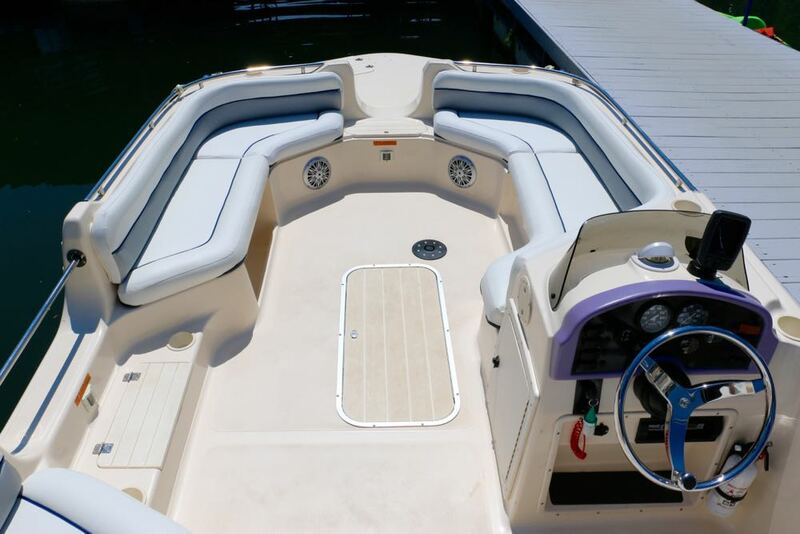 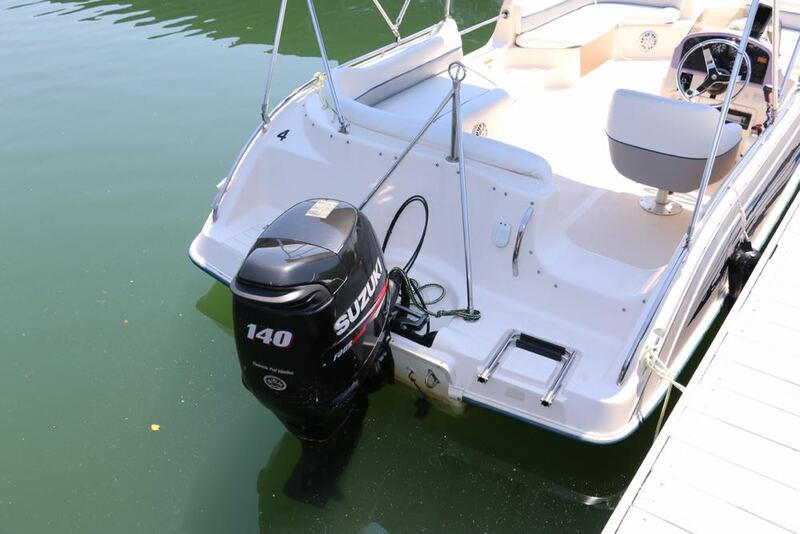 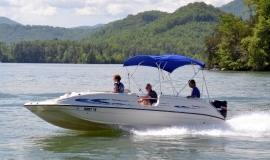 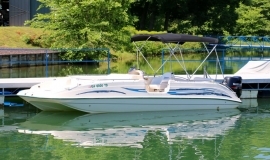 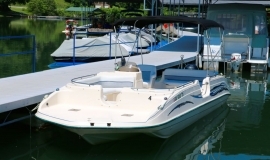 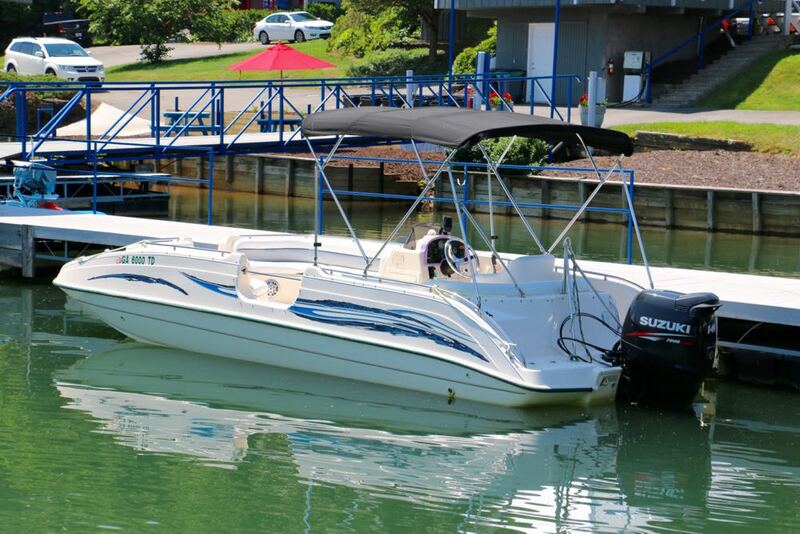 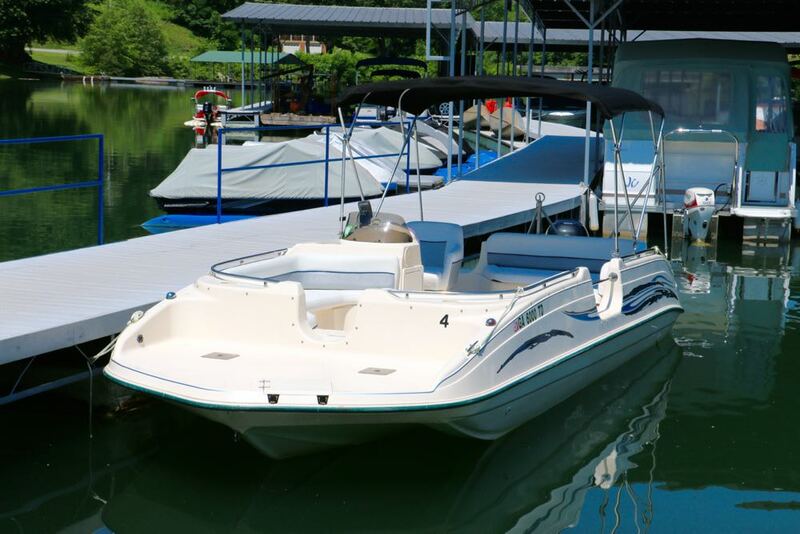 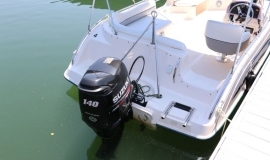 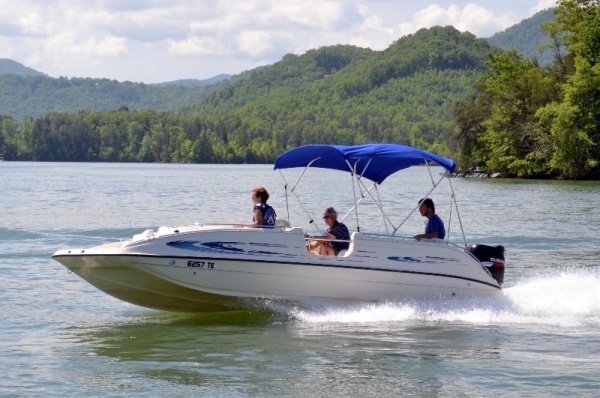 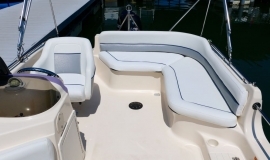 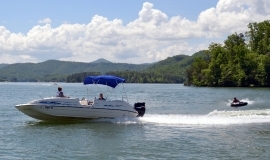 We offer double tubes, skis, kneeboards, and wakeboards for rent with this deck boat. 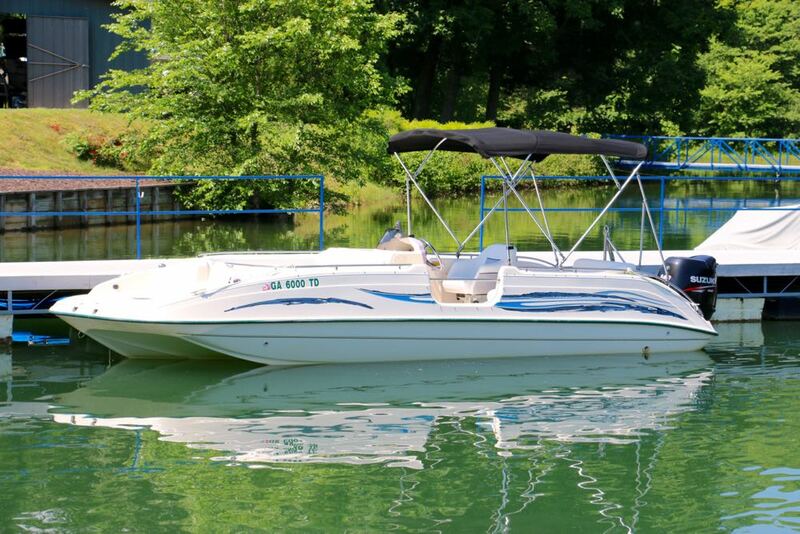 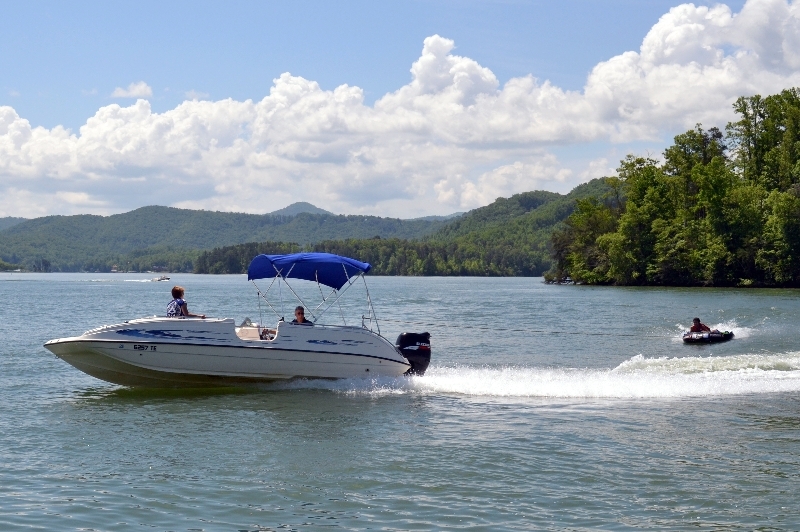 Get a FREE Double Tube Rental or Wakeboard Rental when you rent this boat for 3 or more days!